Henry Ryle Shaw was educated at King's College, London, also in the Netherlands and in France, and studied engineering in Germany. As a sergeant in the London Scottish Rifle Volunteers he started that regiment's School of Arms. Later he served as a lieutenant in the 37th Middlesex. In 1874 he emigrated to Natal, bought the farm "Carshalton", near Mooi River, and became the first farmer in Natal to use barbed-wire fencing. He moved to Barberton shortly after gold was discovered there and among other occupations was secretary and treasurer of the town's Sanitary Board. In July 1888 he became a foundation member of the Barberton Scientific and Literary Society, serving on its first management committee as honorary secretary to March 1889. When the Barberton goldfields started to decline around 1889 he proceeded to Johannesburg, where he worked as manager of the Salisbury Mine for some time. 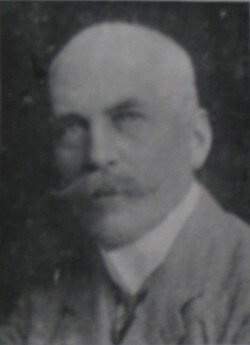 About 1892 he returned to Natal, settled on the farm Winterskloof, near Pietermaritzburg, and became editor of the Times of Natal for six years. From 1 January 1898 he was contracted by the Natal Department of Agriculture to edit its new journal, The Agricultural Journal and Mining Record. The first issue was dated 18 March 1898. Shaw retired as editor in 1908. From October 1909 to March 1910 Shaw published "Recollections of a Natal colonist", in six parts, in the journal The State. In his younger days he was a physically active person, listing fencing, boxing, trout fishing and travelling as his hobbies. Barberton Herald, 29 June 1888: Science and Literature. Barberton Scientific and Literary Society. Proceedings, July 1888 - March 1889. Gold Fields News, 27 June 1888: Scientific and Literary Society. Gold Fields Times, 7 June 1887: Government Notice: Sanitary Board. Natal [Colony]. Report of the Commissioner of Agriculture, 1898. National Automated Archival Information Retrieval System (NAAIRS). . Documents relating to Shaw, Henry Ryle / Shaw, H. Ryle / Shaw, H.R.